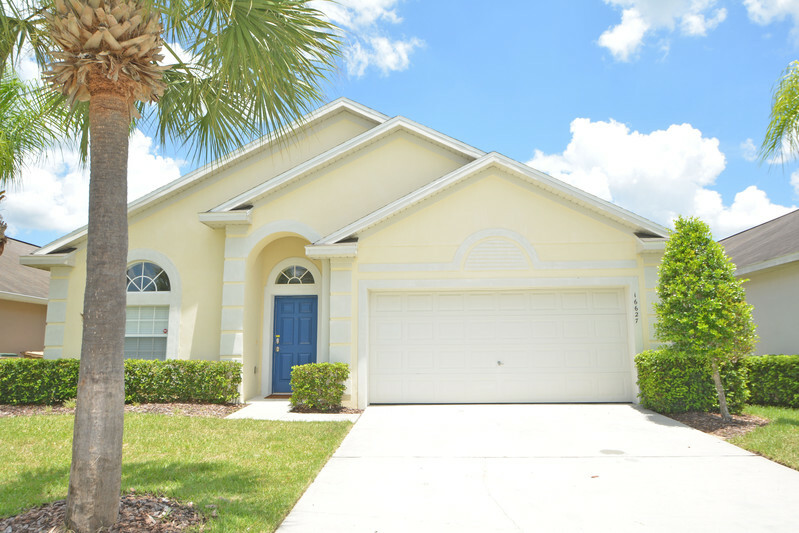 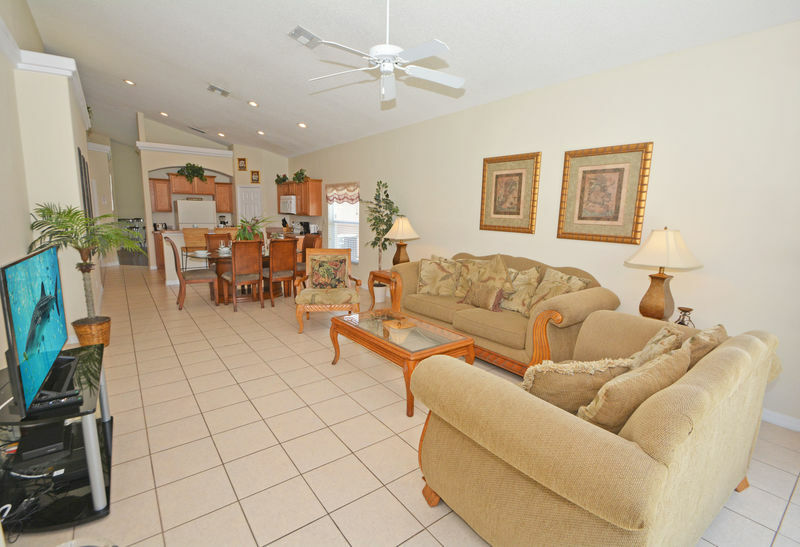 Very pretty single level home with 4 bedrooms and 3 bathrooms. 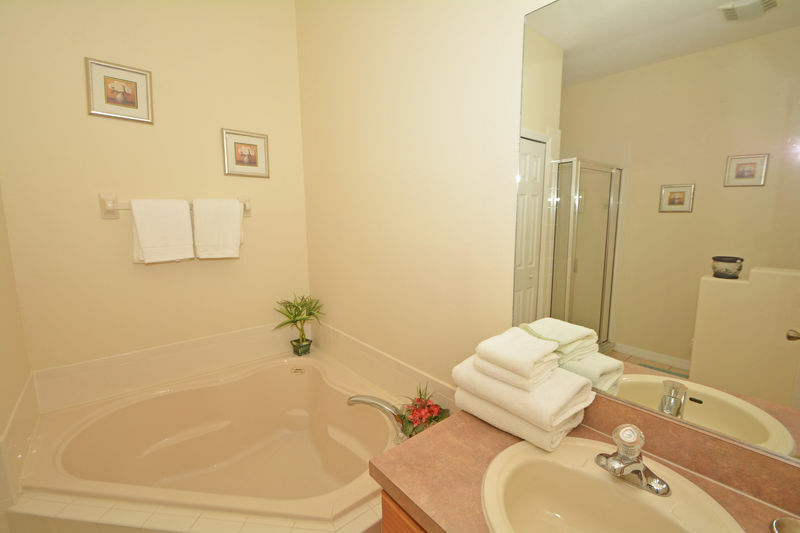 Being all on one level makes this home perfect if travelling with elderly or disabled guests. 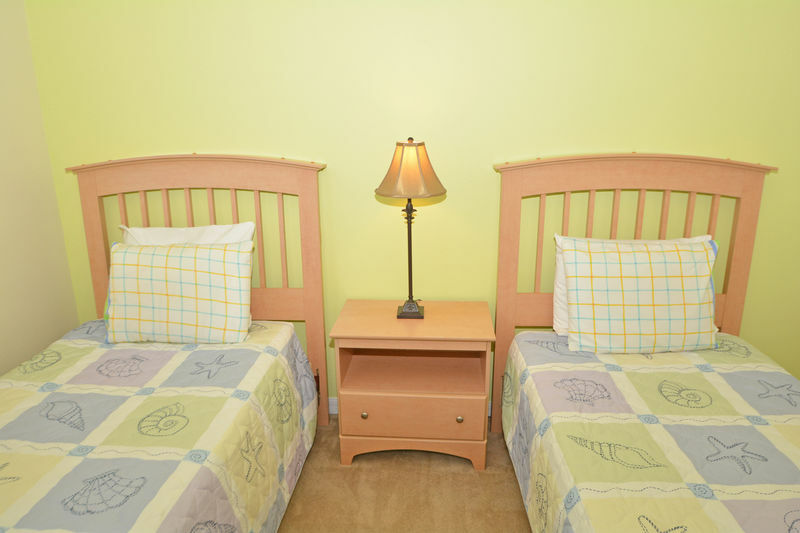 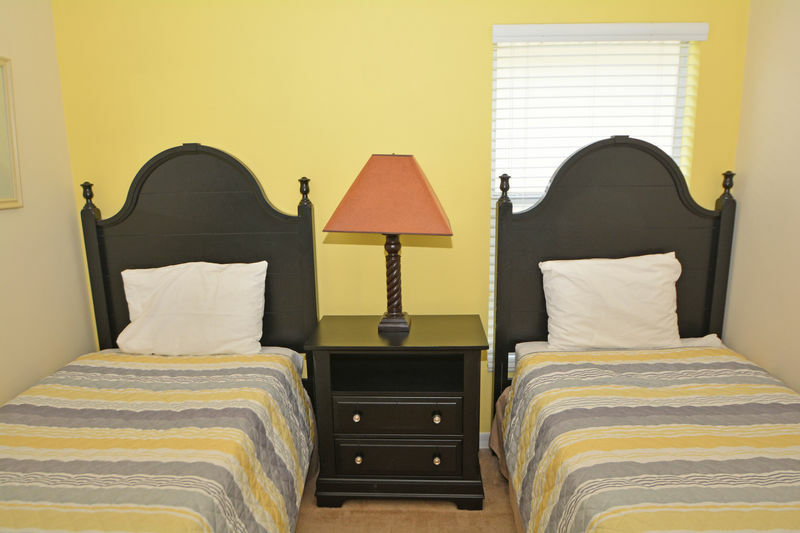 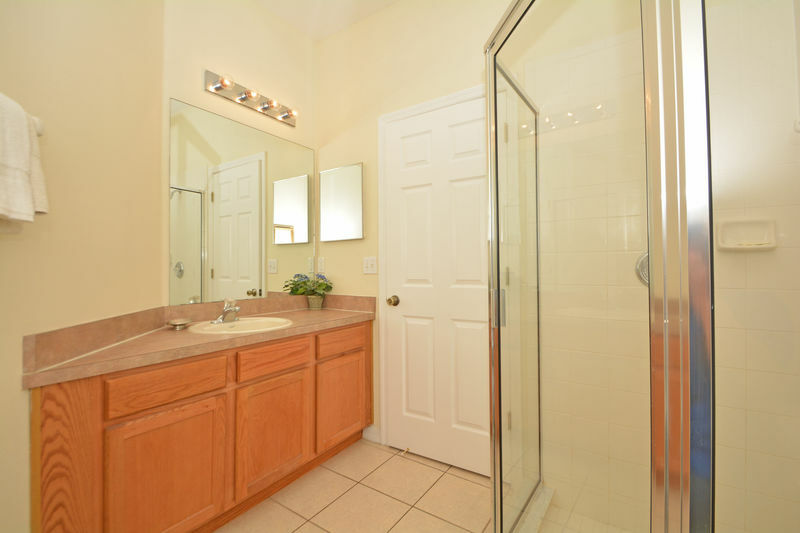 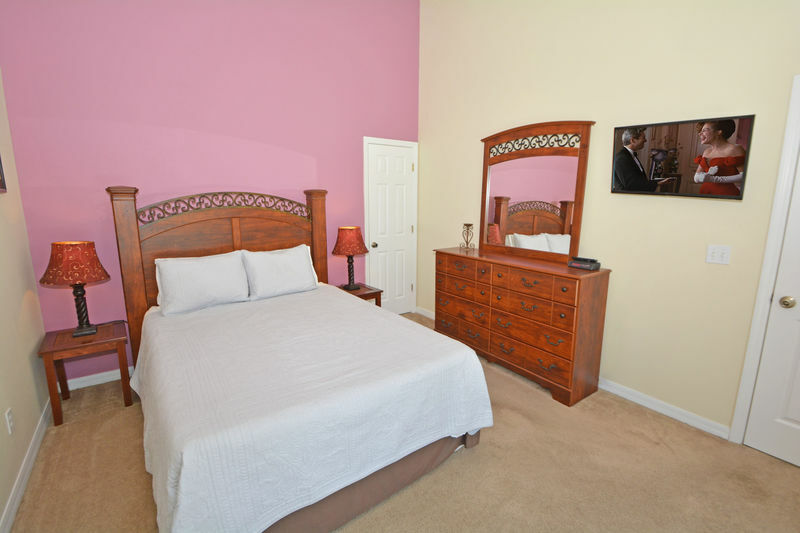 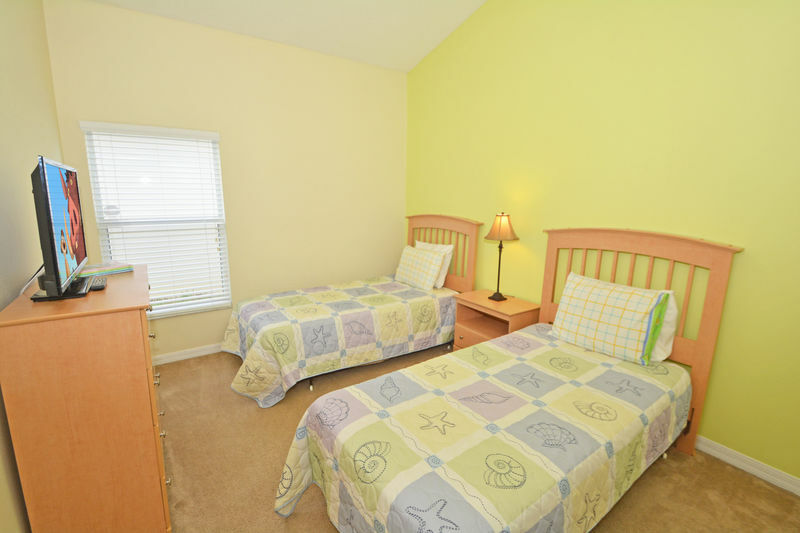 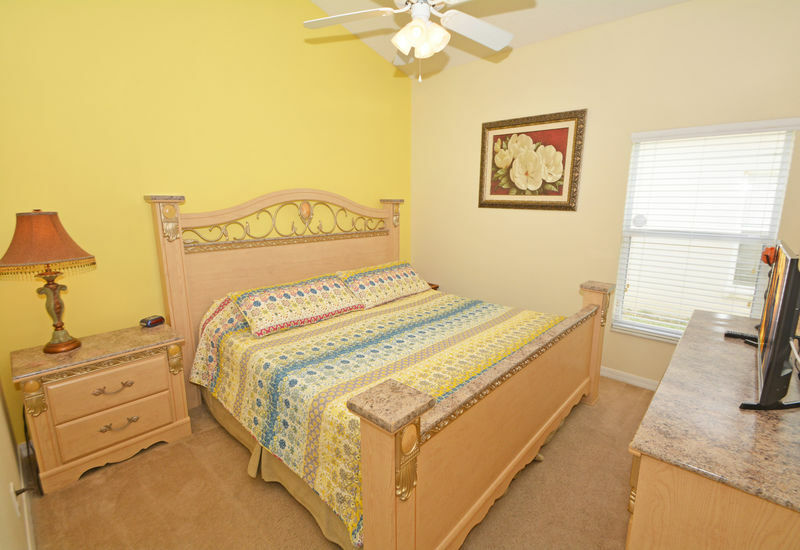 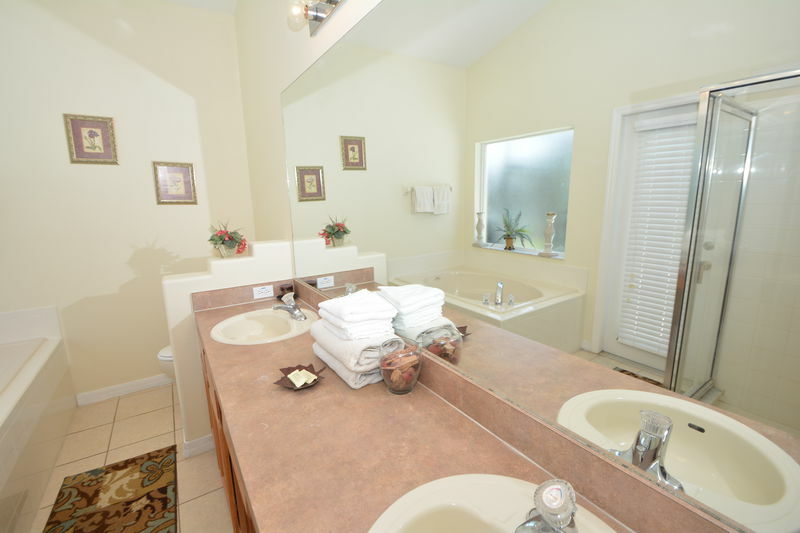 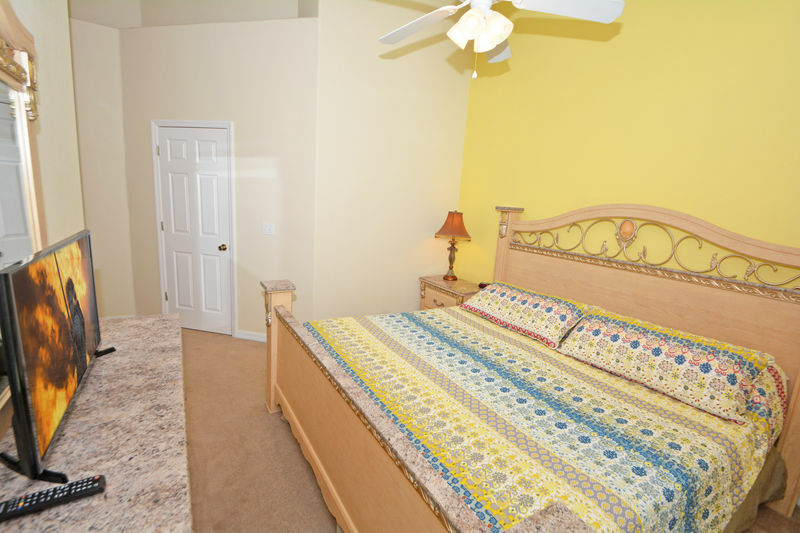 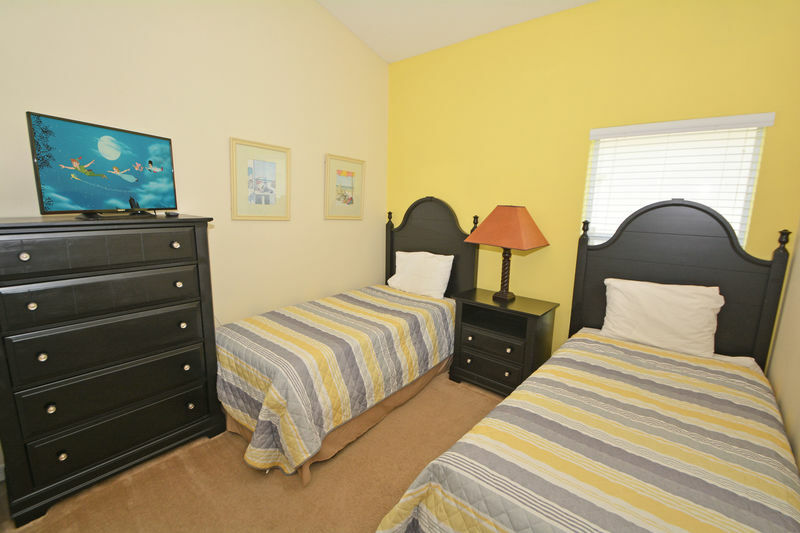 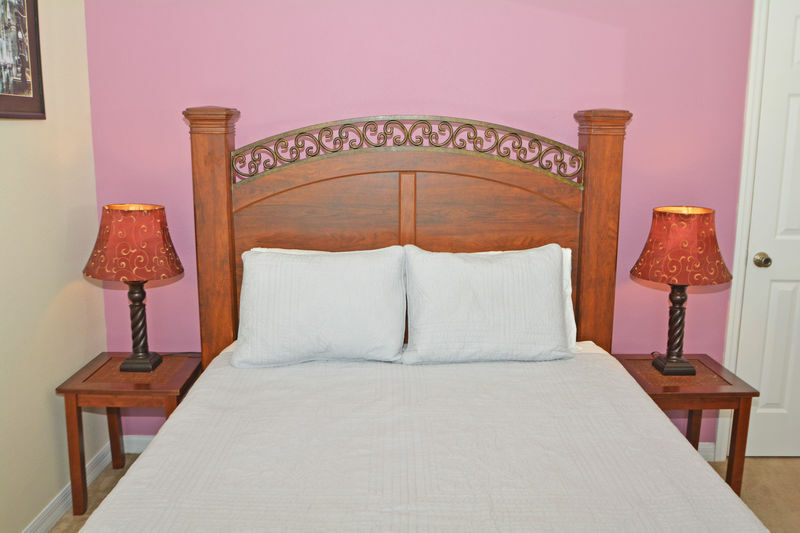 There are two master bedrooms with en-suite bathrooms and two further twin bedded rooms and a family bathroom. 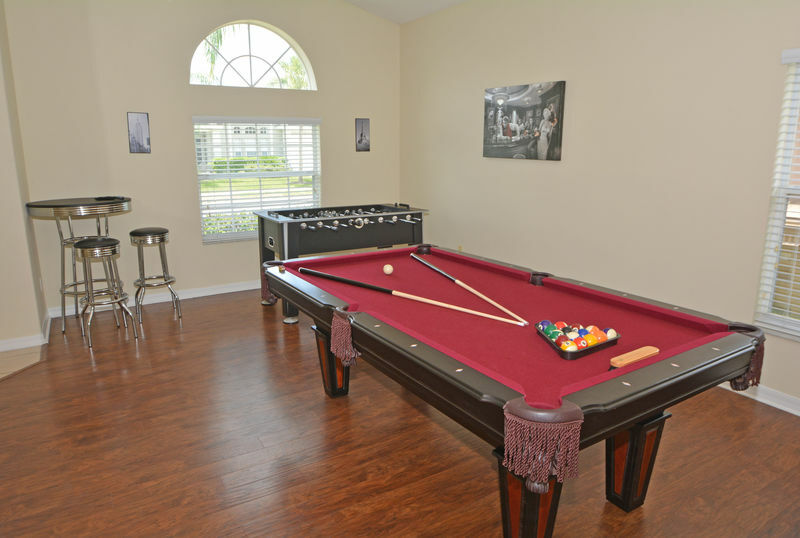 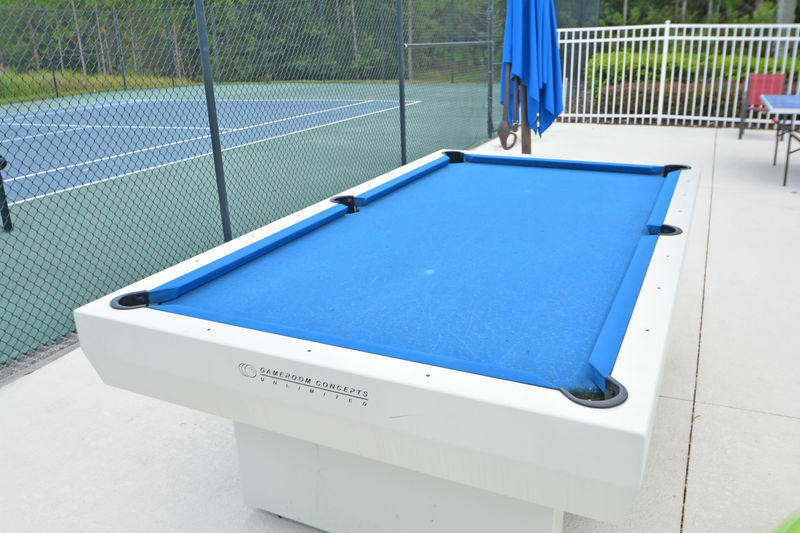 An in-house, fully air conditioned games room with pool table, foosball table and wall mounted flatscreen TV will keep everyone occupied in the evenings and there is plenty of space to relax in the remainder of the house. 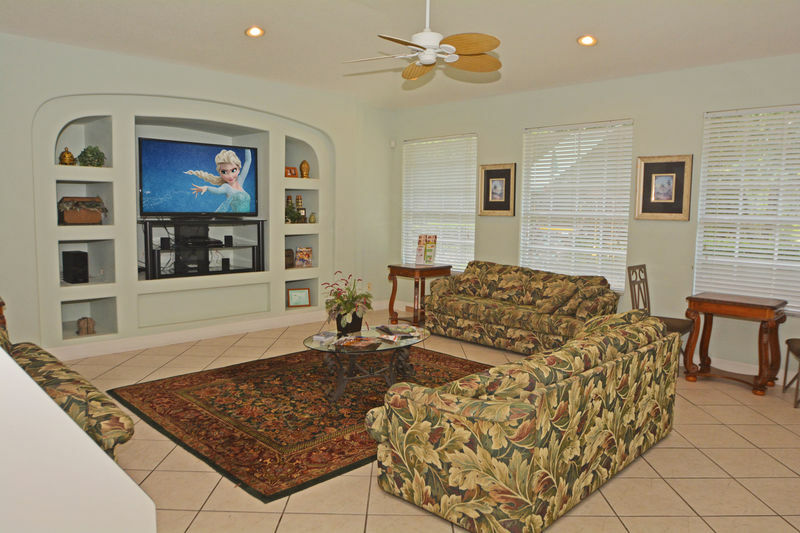 Family seating area has comfortable sofas and a wide flatscreen TV. 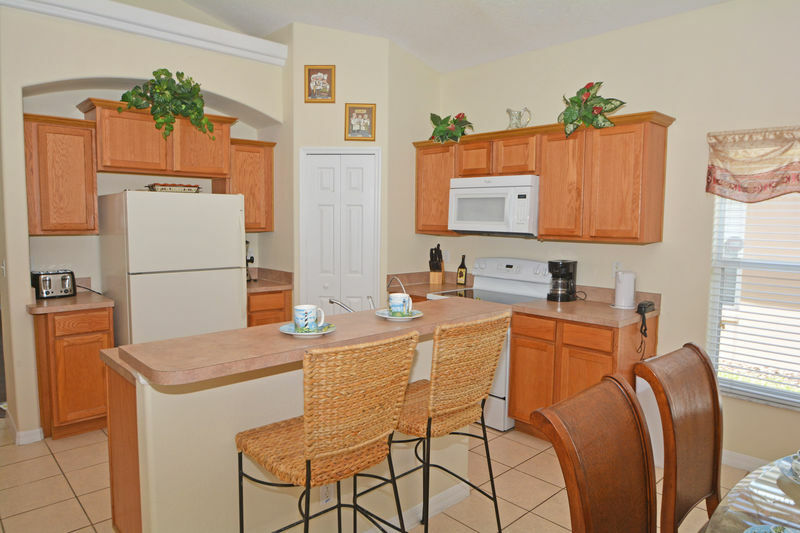 There is a fully equipped kitchen with electric oven/hob, microwave, dishwasher, double sink with disposal unit and large fridge/freezer. 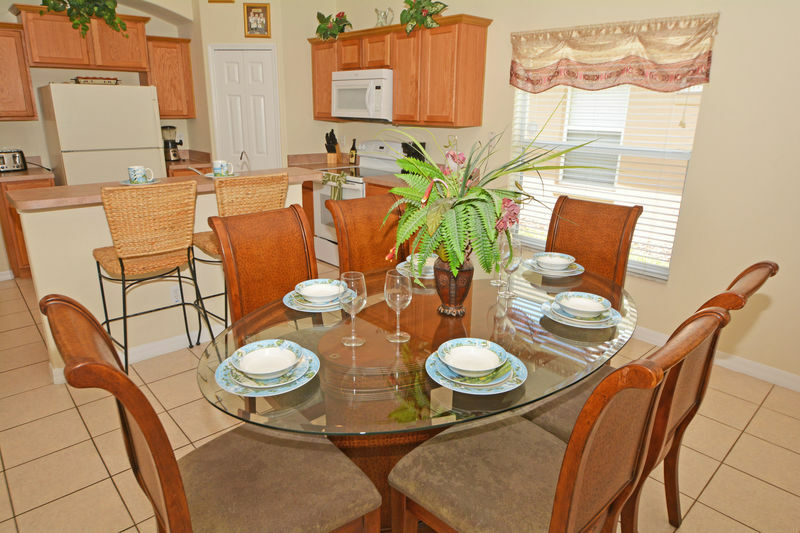 There is bar seating for 2 people, a dining table seating and a utility room with washer and dryer. 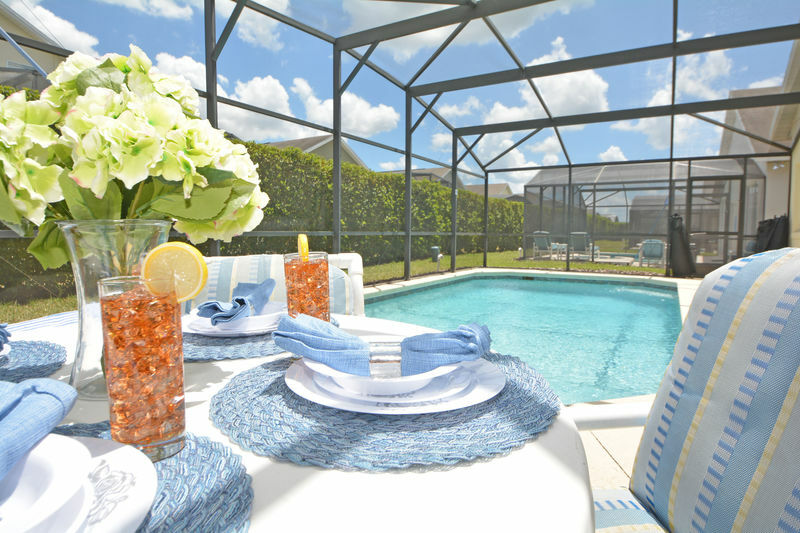 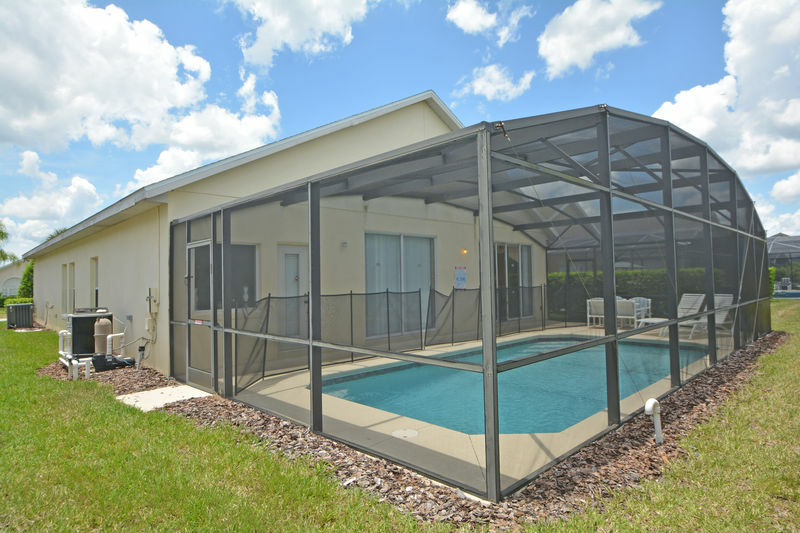 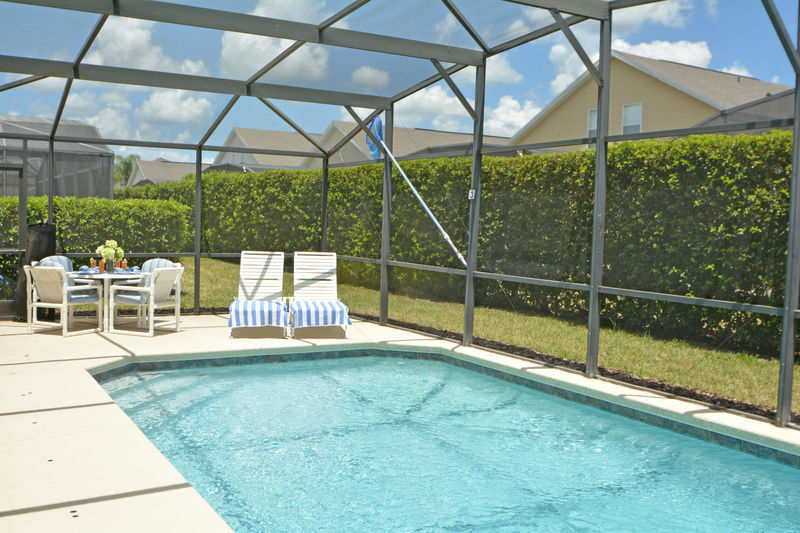 The pool is fully screened to keep out bugs, has a sizeable sunbathing deck and there is a high hedge to the rear so you are not directly overlooked. 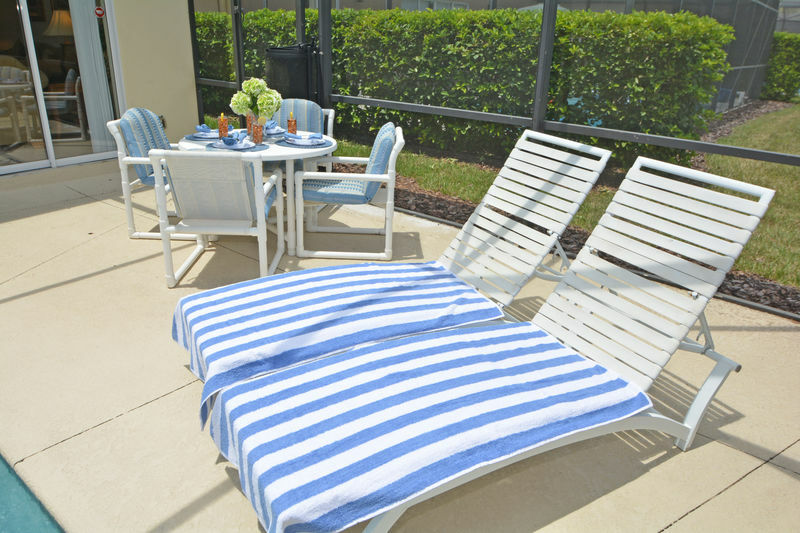 The patio table seats four people and there are two sunloungers. 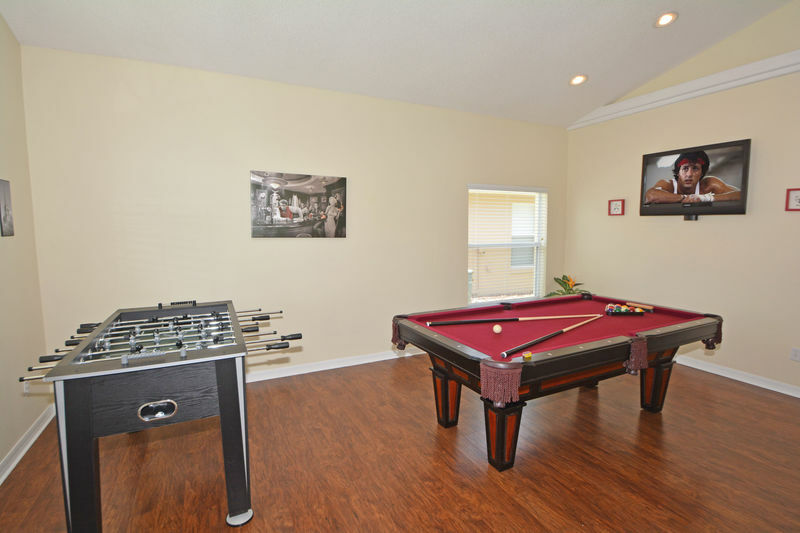 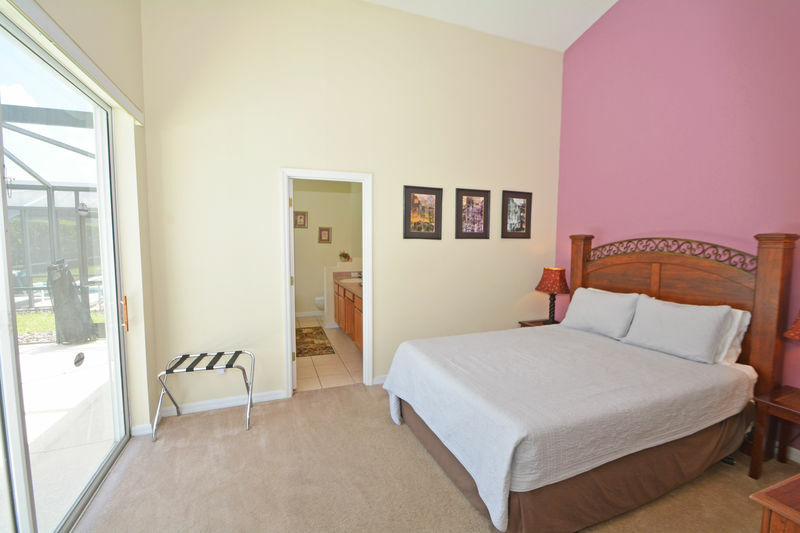 The house has free WIFI throughout and a double garage as well as off street parking. 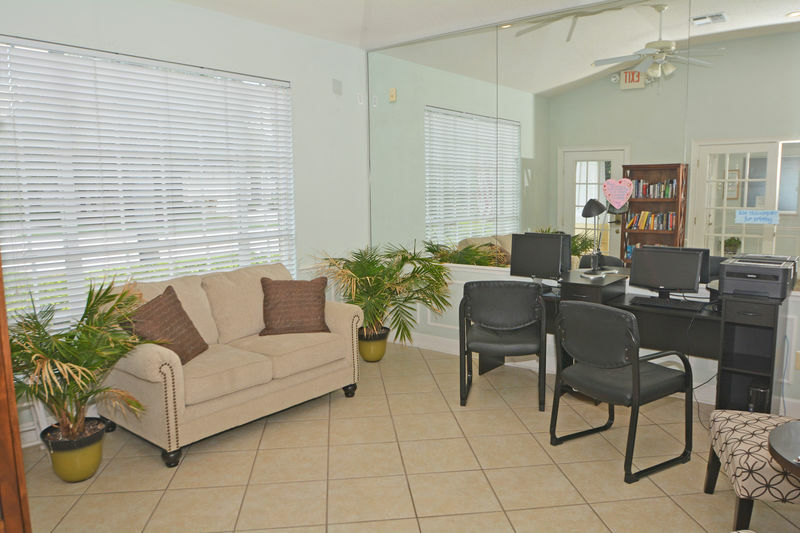 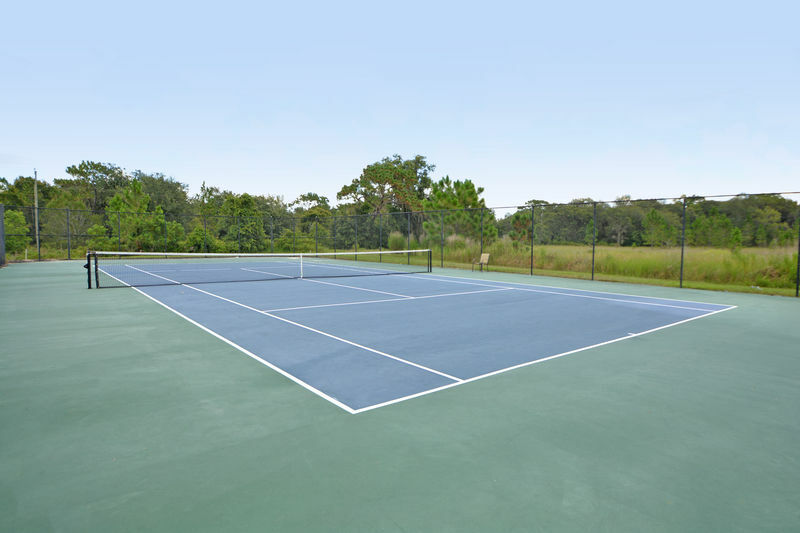 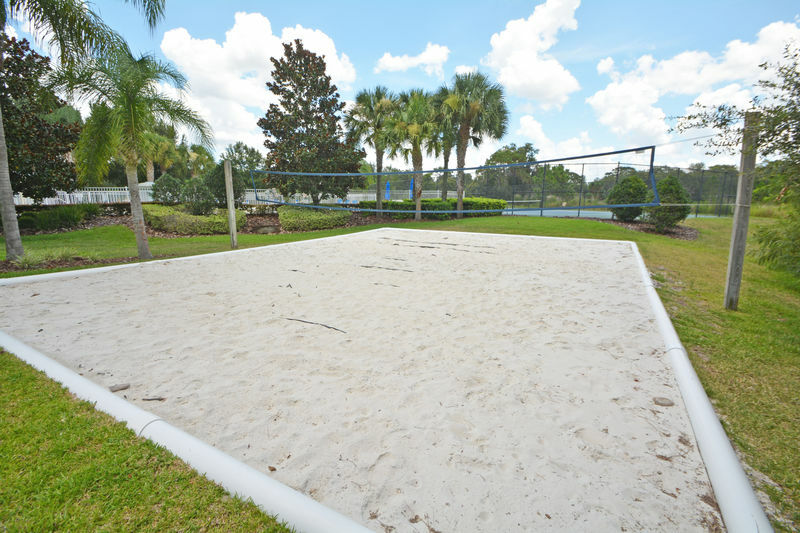 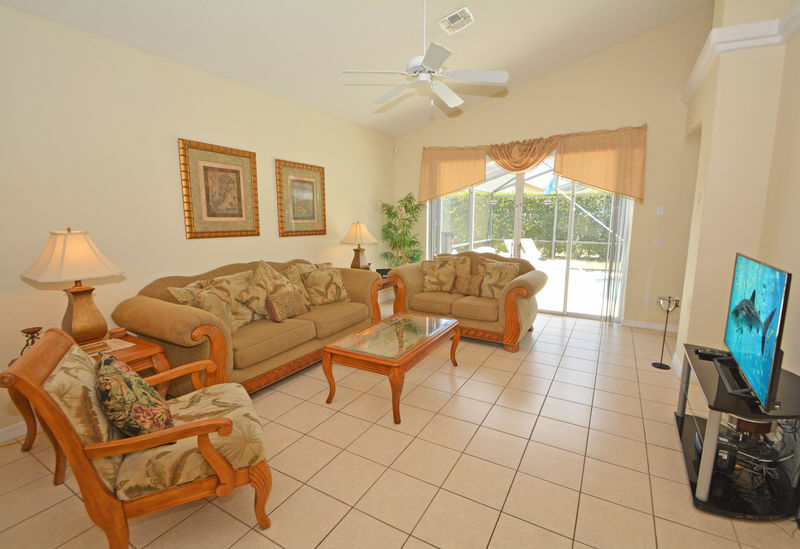 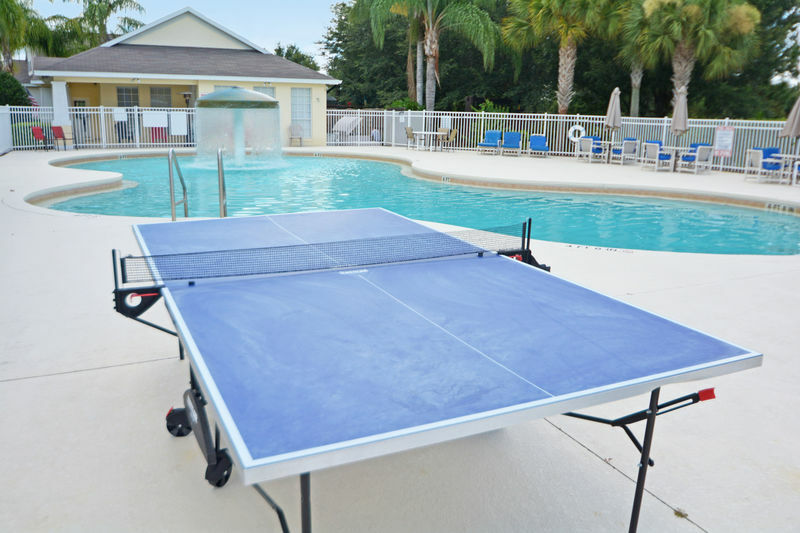 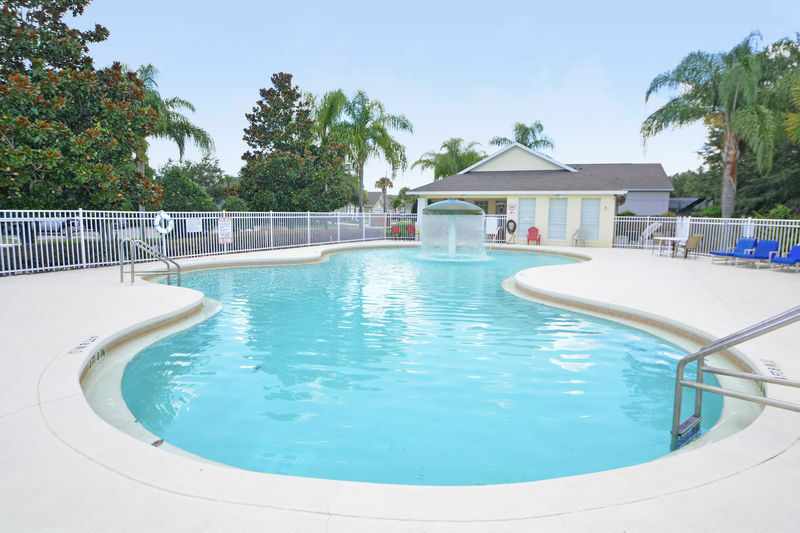 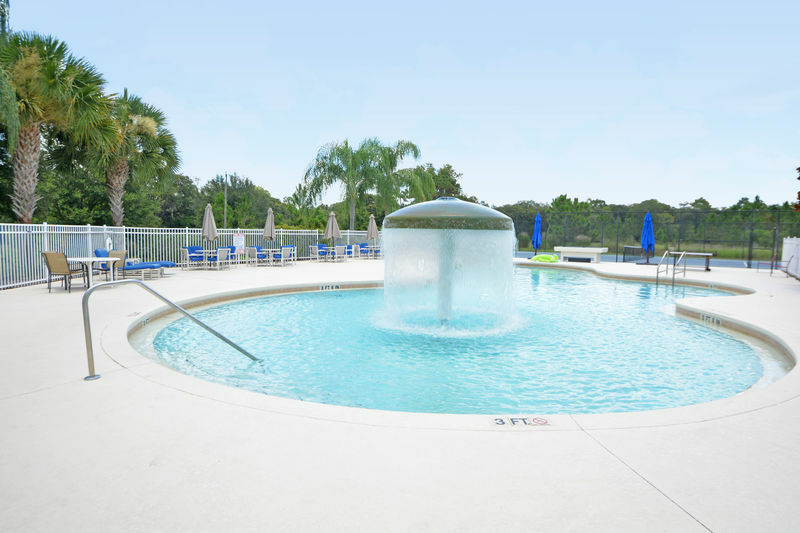 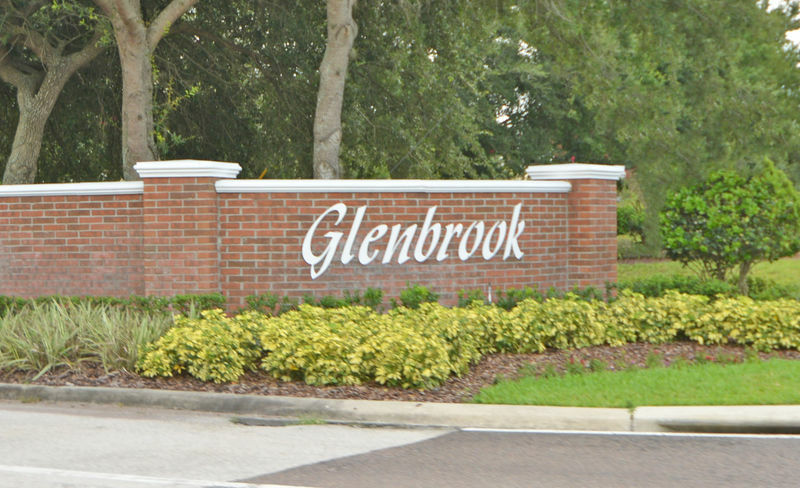 Glenbrook has an on-site clubhouse with TV room, internet room, pool, beach volleyball court and tennis courts. 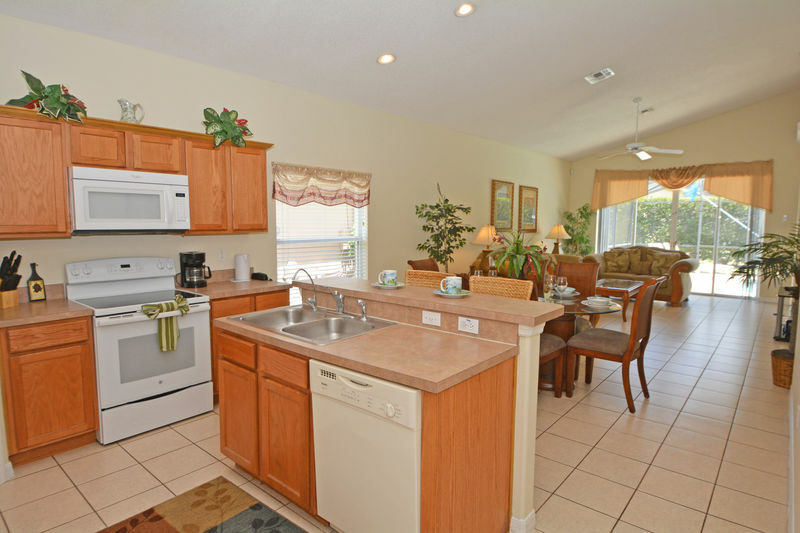 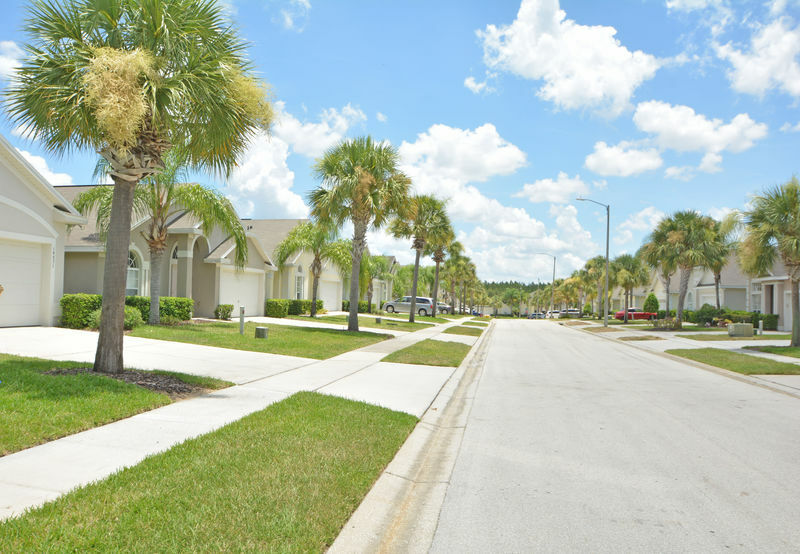 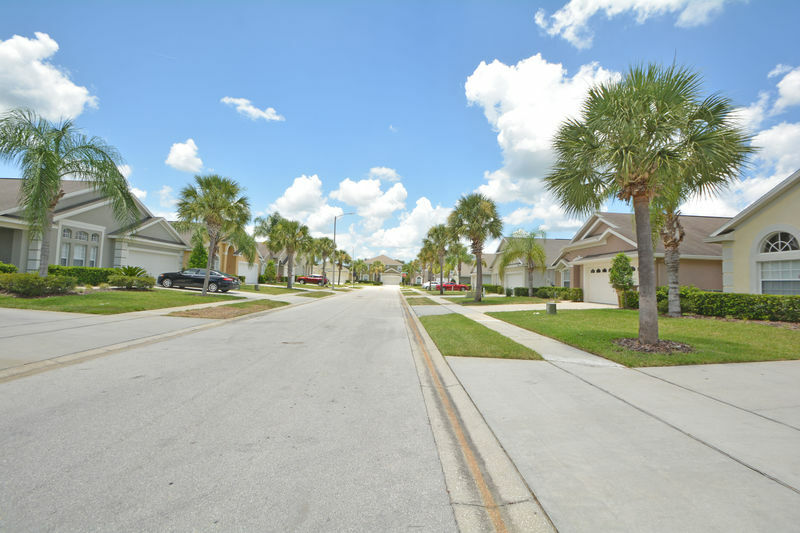 Grocery stores and restaurants are within a five minute drive and the Disney attractions are only 15 minutes away.